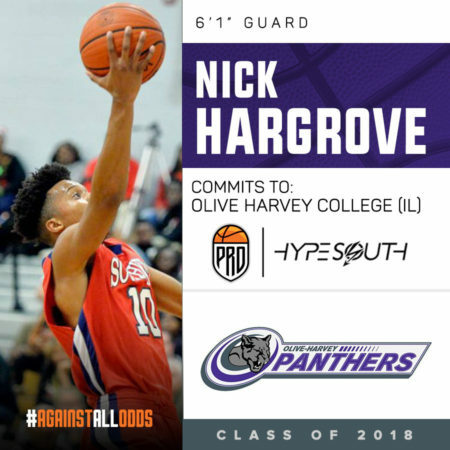 Nick Hargrove Commits to Olive Harvey College (IL) ! After being recruited by handful of schools such as Fayettevile Tech, Albany Tech, Fort Valley & Southern Crescent, Nick Hargrove has decided to end his recruitment! 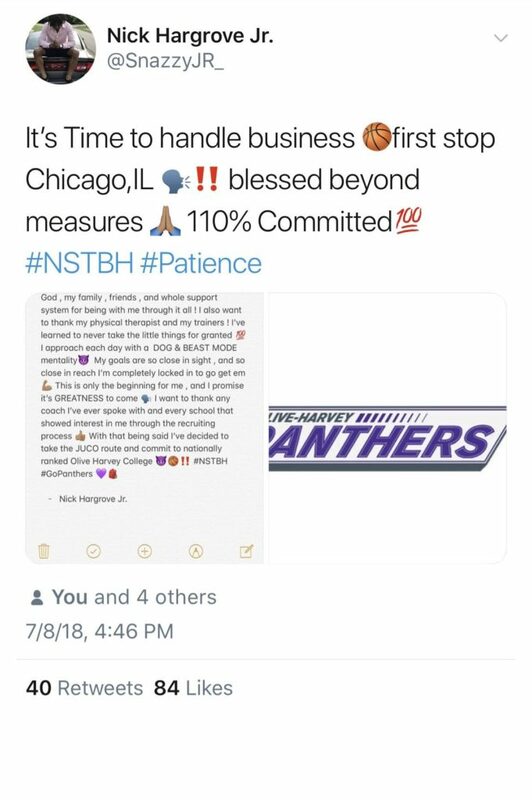 Hargrove has decided to join the Olive Harvey Panthers next season! The Panthers are led by Head Coach Brandon Moore. Olive Harvey was a member of NJCAA D2 last season and was ranked as one of the top teams in the country, before loosing to National Champions Triton in the Regional Championship. The Panthers ended the season ranked 16th in the country & earning a 26-7 record. Olive Harvey is making the transition from NJCAA D2 to NJCAA D1 next season. Hargrove is expected to play a key role as one of the guards Coach Moore will will rely on. 4 year programs need to keep an eye on Hargrove over the next two seasons at Olive Harvey. Congratulations Nick, we will continue to follow your success on & off the court! 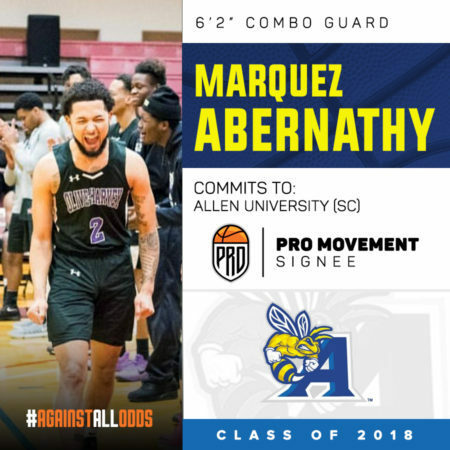 Marquez Abernathy Commits to Allen University (SC) !